Blues and soul musician who became known for such popular records as 1968's "Slip Away" and "Back Door Santa," as well as 1985's "Strokin'." He was first signed to the Fairlane label with his friend Calvin Scott. They tried to become successful with the singles "I Wanna Dance But I Don't Know How," "I Don't Know (School Girl)," and "Step by Step," but could not land a charting hit. He found success as a solo artist, selling more than one million copies of his cover of the Chairmen of the Board's "Patches" and receiving the 1971 Grammy Award for Best R&B Song. He married his back-up singer, Candi Staton, in 1970. 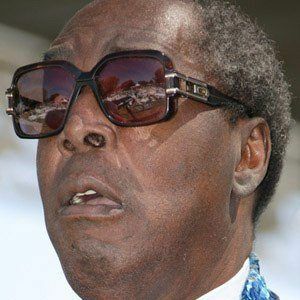 They divorced in 1973, although they first had a son, Clarence Carter Jr.
His first chart hit "Tell Daddy," which was released in 1967 served as a source of inspiration for "Tell Mama," the answer record by Etta James.